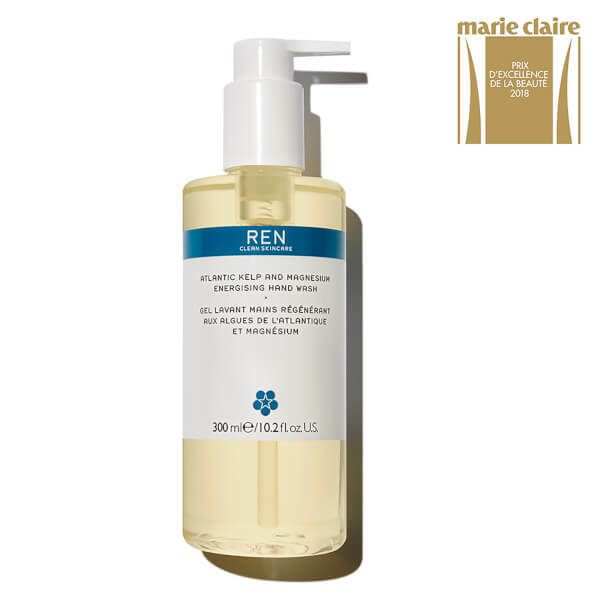 Cleanse and refresh skin with the REN Skincare Atlantic Kelp and Magnesium Energising Hand Wash; a gentle yet effective soap that purifies the hands, whilst imparting a delicate scent. Effortlessly lathering between palms, the luxurious formula eliminates dirt and impurities to ensure hands are clean and comfortable. The hand wash is enriched with Atlantic Kelp Extract and Magnesium PCA, which work in synergy to restore essential moisture to skin, whilst delivering essential minerals and a soothing feel. 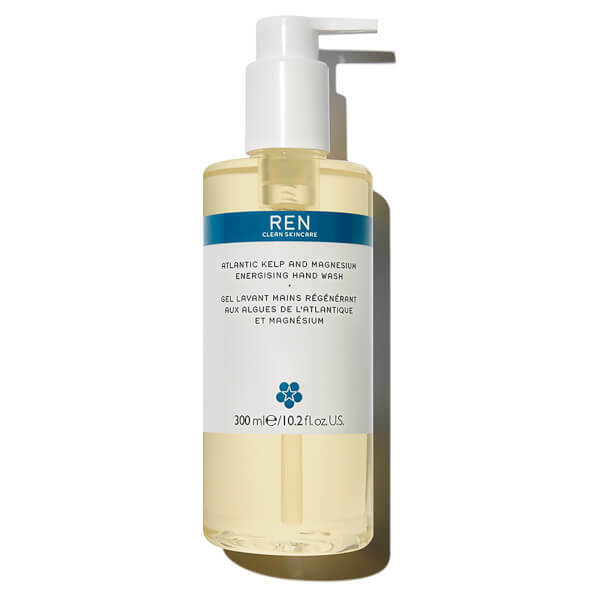 Finished with a signature dose of REN’s anti-fatigue essential oil blend, the wash not only cleanses the skin, but delivers a sensual fragrance to uplift the spirits. Rub a small amount in between wet hands and massage to lather. Rinse thoroughly. Aqua (Water), Cocamidopropyl Betaine, Glycerin, Disodium Cocoamphodiacetate, Lauryl Glucoside, Decyl Glucoside, Sodium Chloride, Glyceryl Laurate, Inulin, Coconut Acid, Magnesium Pca, Rosmarinus Officinalis (Rosemary) Leaf Oil, Pelargonium Graveolens (Geranium) Oil, Salvia Sclarea ­Clary Sage‑ Extract, Cupressus Sempervirens ­Cypress‑ Leaf/Stem Extract, Laminaria Digitata Extract, Parfum* (Fragrance), Sodium Benzoate, Potassium Sorbate, Citric Acid, Sucrose, Sodium Levulinate, Plankton Extract, Lecithin, Citronellol, Geraniol, Limonene, Linalool.